The global financial investment group Goldman Sachs has acquired Bridgewater Shopping Centre in Arklow, Co Wicklow, in an off-market deal for €33.25m. The sale is subject to the approval of the Competition Authority. The nine-year-old centre has a rental income of €2.9m, and will show a return of around 8.5 per cent for the new owners. 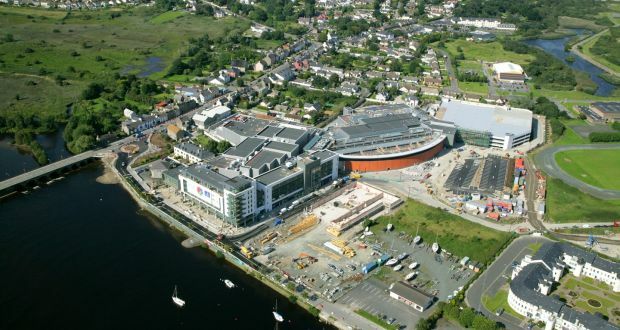 The 300,000 sq.ft centre is anchored by Dunnes Stores who own their own 73,000 sq.ft store. The other main tenants are TK Maxx, Next, New Look, Argos and River Island. Two new fashion outlets, DV8 and Carrick Donn, recently opened new stores in the centre, while Starbucks is currently fitting out another outlet. A nine-screen Omniplex cinema in separately owned. Colliers International and CBRE advised the owners, while Arrow Asset Managers acted for Goldman Sachs.